Have you always wanted to experience snow? How about eating snow? 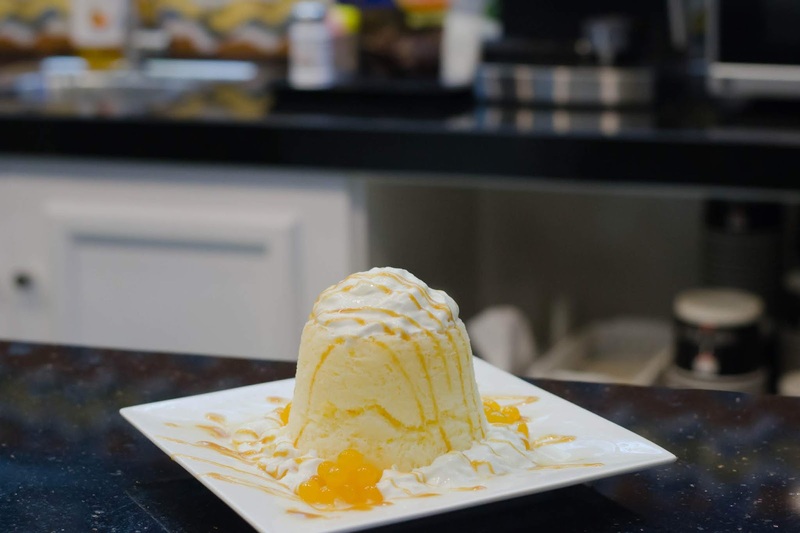 If you don’t have the time to head on over to somewhere where you can experience snow, you can come close to it and experience a melt-in-your-mouth shaved ice dessert that feels like you’re eating snow. 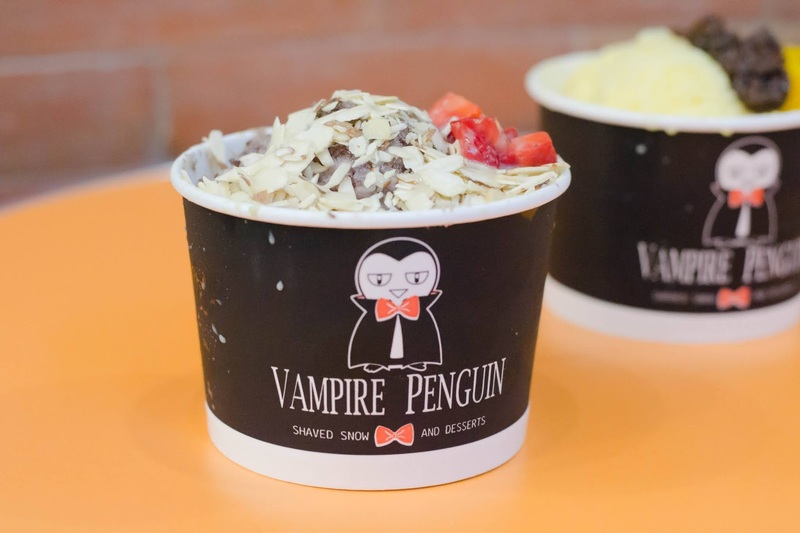 Coming all the way from California, Vampire Penguin Shaved Snow and Desserts is now serving here in Manila. 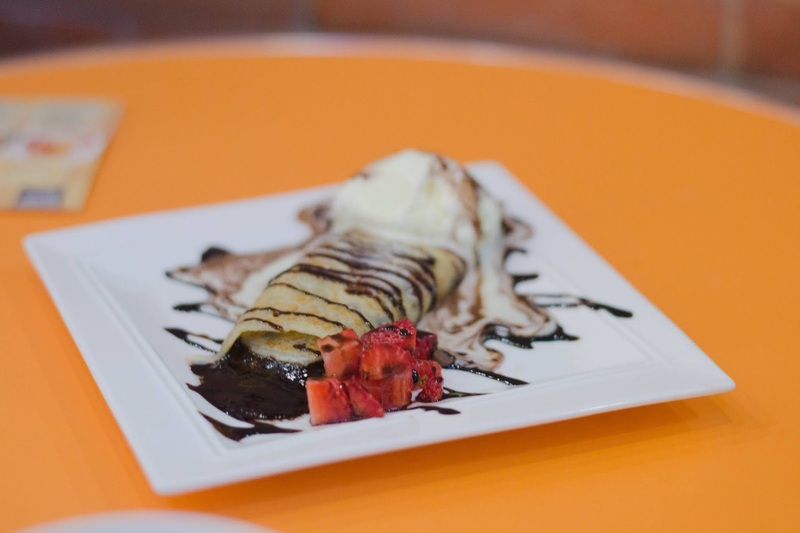 When you live in a country where the sun scorches all year round, a nice, cold dessert is always a good idea. 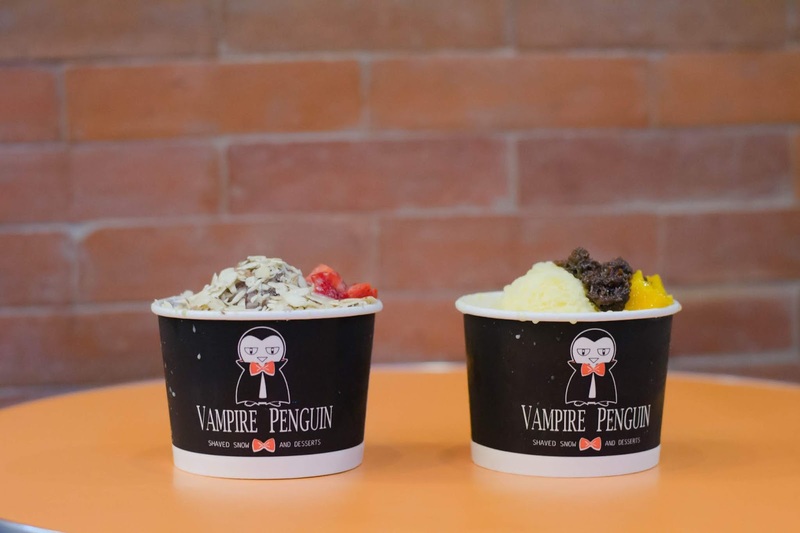 These shaved snow desserts from Vampire Penguin are the perfect way to cool down. 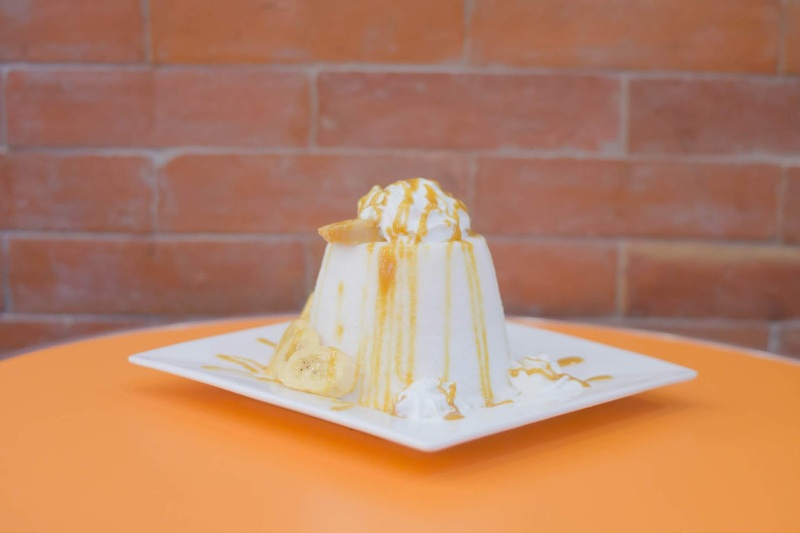 On top of the shaved snow dessert flavors they serve in California, they also have their own take on one classic Filipino dessert, Halo Halo. 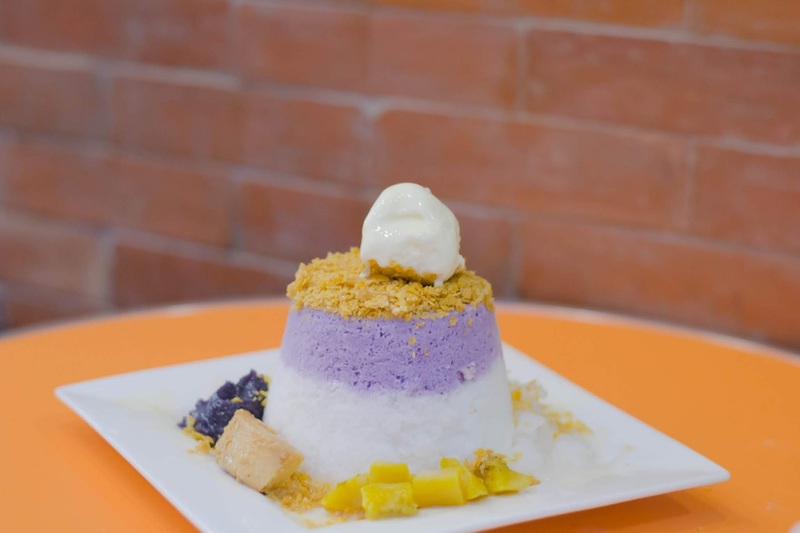 Their Halo Halo shaved snow has everything you love about Halo Halo, red beans, ube, jackfruit, leche flan and a scoop of ice cream. It’s like Halo Halo, but even better. I can’t get enough of the ube shaved snow! 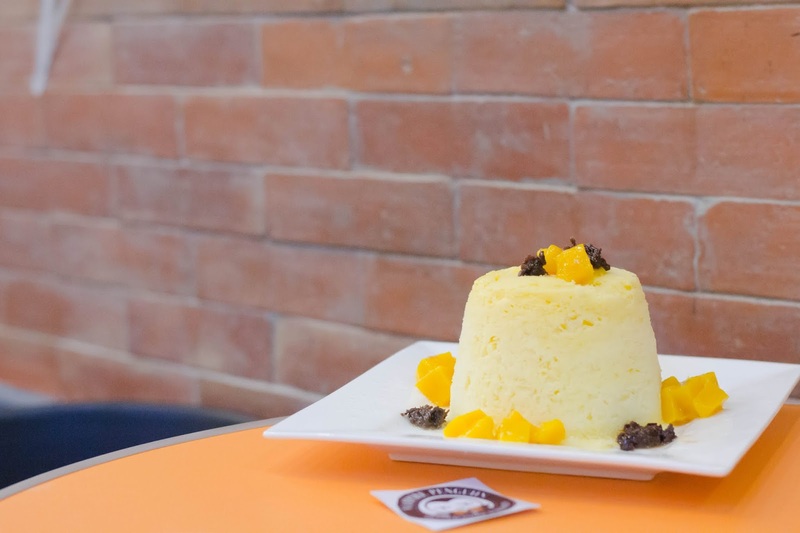 For those with an adventurous palate, try their Mango-ong. It’s mango shaved snow with shrimp paste. Yes, shrimp paste. My favorite is their VP Shaved Snow. It’s green tea shaved snow with strawberries, sliced almonds and red beans. 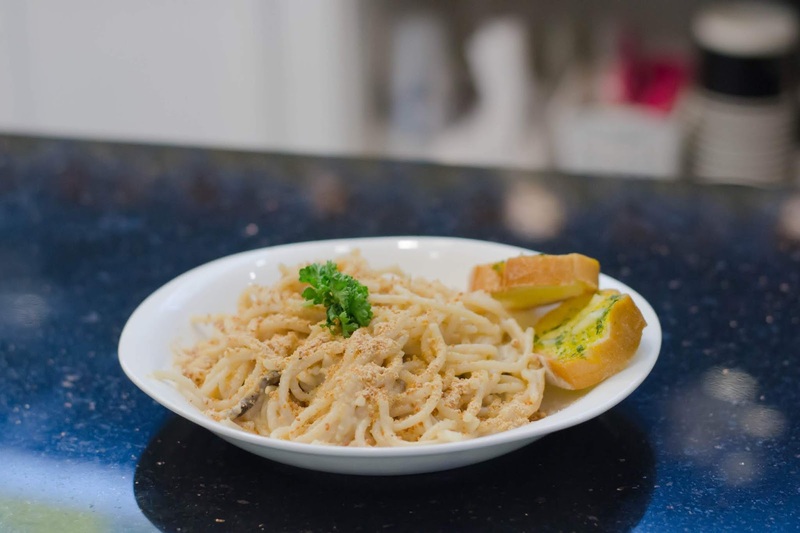 Aside from Shaved Snow, they also serve milk tea, savory waffles and pasta. 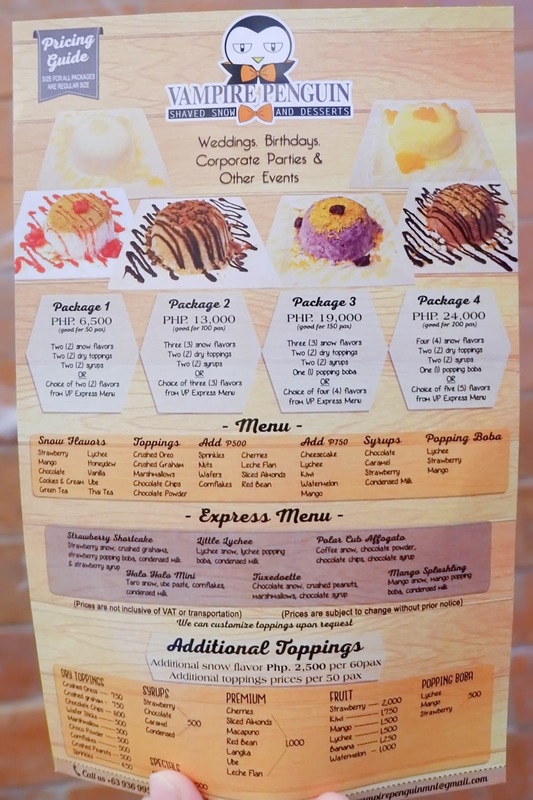 They also do catering for events where their lowest package rate is P6,500 which is good for 50 pax. 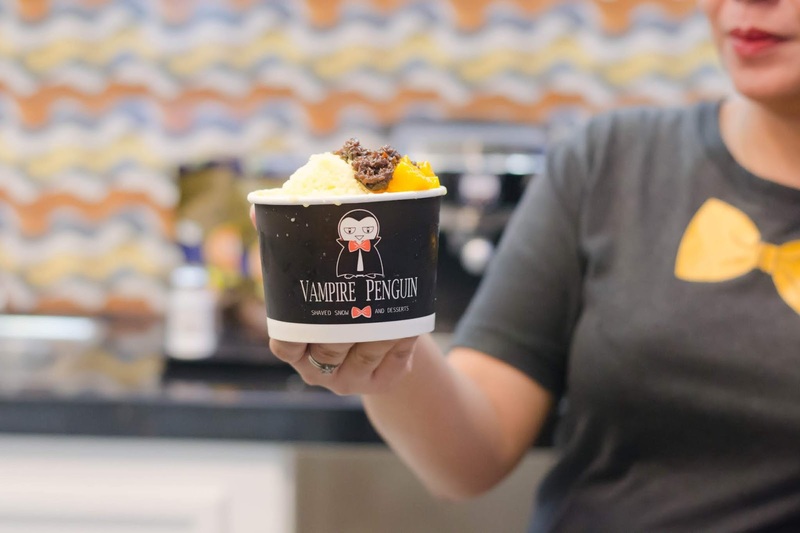 Vampire Penguin's shaved ice desserts deserved to be called shaved snow. 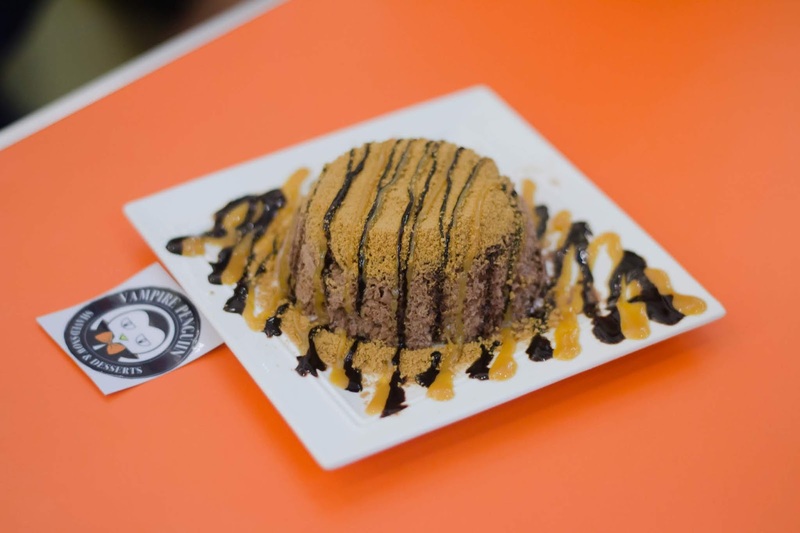 It really feels like eating snow, where the shaved ice melts in your mouth, leaving a creamy texture. 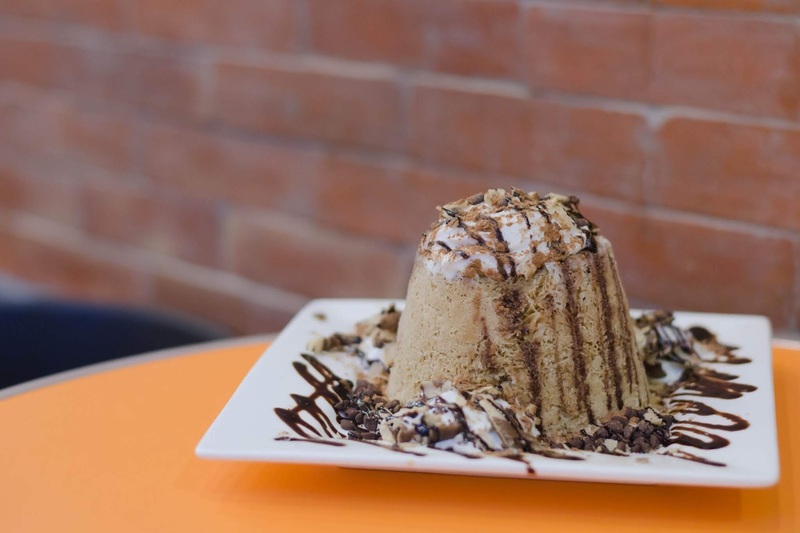 Their shaved snow desserts are delicious and are a perfect treat for a hot, sunny day or any day where you just want to enjoy the unique feeling of eating shaved snow. 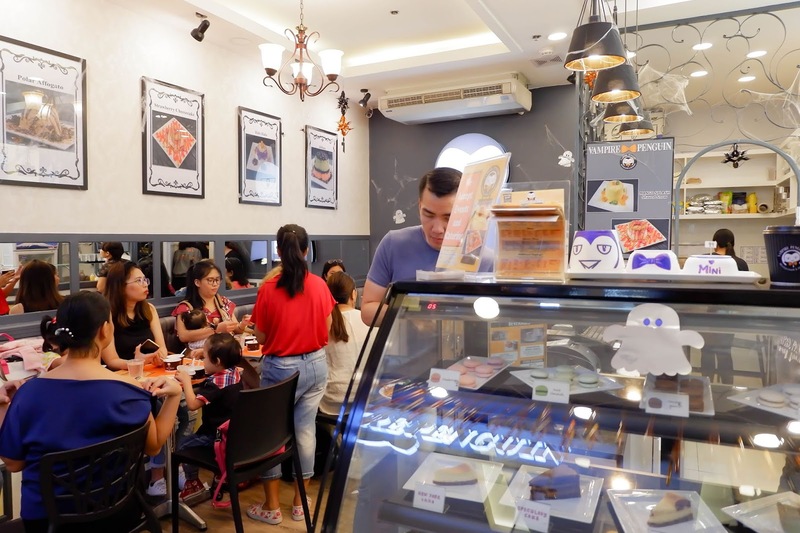 Vampire Penguin is located at the 2nd floor of The Annex, SM City North Edsa, Quezon City. 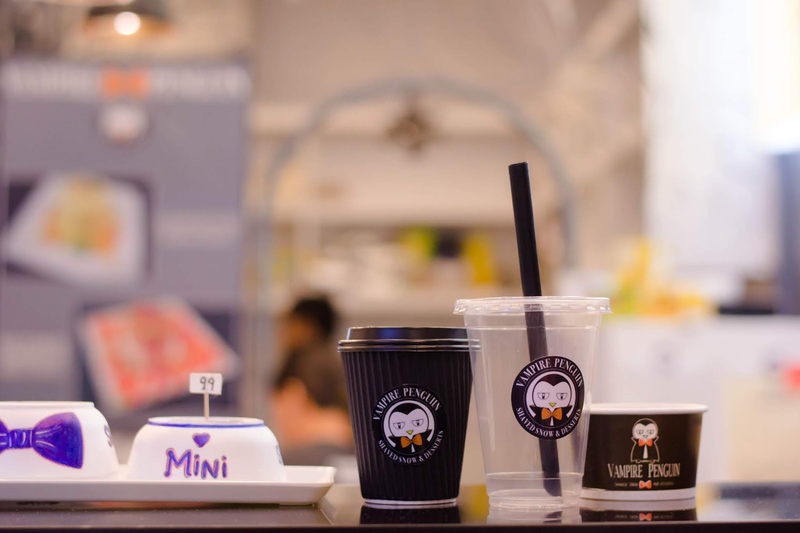 For more information, visit their Facebook page at www.facebook.com/vampirepenguinmnl.